Uber Technologies inc., the prominent ridesharing company based in San Francisco, California, was recently sued by Uber Operations LLC, an information technology company based in Tallahassee, Florida. According to the lawsuit, which was filed on August 29th in Northern District of Florida, the ridesharing company infringed on the trademark of the IT company. More specifically, Uber Operations argues that is has been a victim of reverse confusion. Here, our experienced West Palm Beach trademark litigation attorneys explain the concept of reverse confusion in trademark law and discuss how it applies to this case. 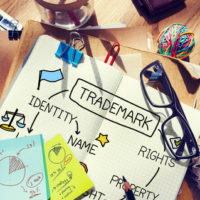 Trademark Law: What is Reverse Confusion? In the majority of trademark litigation claims, the original trademark user accuses the new trademark user of attempting to profit off of their brand. Reverse trademark claims are somewhat different. In these types of cases, the original user alleges that the new user has engaged in such extensive promotion of its own products or services that the public assumes that the original user’s goods or services are actually linked to the new user. Uber Operations first began operating in Florida under that moniker in 2004. The firm’s area of business includes an array of IT-related products and services, from design to development. In this case, the Florida IT company is not arguing that the ridesharing company is attempting to profit off of the goodwill of the original user, but instead that the new Uber is overwhelming the market, making it impossible for their firm to maintain an independent brand. According to the legal complaint filed by Uber Operations, the company has now been inundated with phone calls, email messages, letters and office visits from people who believe that their firm is somehow connected to Uber Technologies. In fact, Uber Operations even points to letters it has received from government officials. Finally, the company also contends that it has been subject to negative internet reviews that were actually meant for the other Uber. Uber Operations is seeking legal relief in several different forms. First, the company is asking for direct financial damages to account for its losses. Second, the company believes that it is appropriate to disgorge of profits from Uber Technologies. Lastly, the Florida IT firm is also asking the judge to issue an injunction, prohibiting the ridesharing service from using the tradename “Uber” in the state of Florida. Reverse trademark claims are notoriously challenging, though not impossible to win. Our top-rated trademark law attorneys will keep a close watch on this case and any related legal developments. At Pike & Lustig, LLP, we have extensive experience handling complex trademark claims. If you need trademark law help in Florida, please contact us today to set up a free, no obligation review of your case. We have offices in West Palm Beach and Miami and serve communities throughout Southeastern Florida, including in Doral, Pinecrest and Key Biscayne.